Troy, MI – NAI, a leading manufacturer of global connectivity solutions for high performance systems used in the industrial technology, telecom, data and medical industries, has recently launched a new Community Outreach initiative on a global scale. 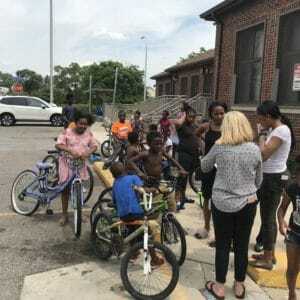 As part of this initiative, employees at the company’s local Troy, MI facility have conducted a community service initiative involving the repair of bicycles. 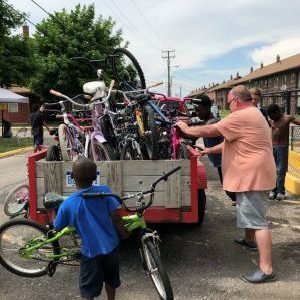 The employees picked up 34 bikes from the Hamtramck Housing Commission, a public housing community that provides assistance to low income residents in the Troy area. 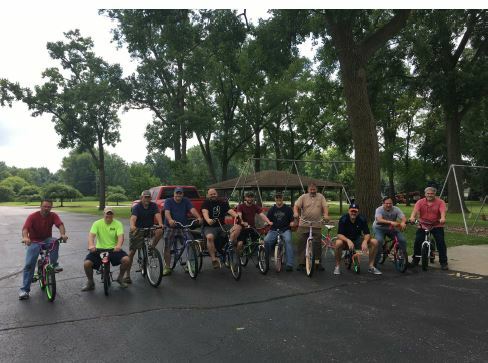 The group of NAI employees repaired these bicycles for the kids in the community, and the bikes were returned to their owners a week later. Repairs included fixing flat tires and brakes, as well as bent rims. Bikes are picked up by NAI employees for repair. The new outreach strategy is intended to engage NAI employees in activities that will help and support their local communities. Support activities are typically focused on a few different local institutions, such as schools and shelters, where assistance from NAI employees is badly needed. All activities are voluntary for NAI employees. Local community engagement is a company-wide value, featured on NAI’s Strategic Architecture model which drives company strategic and tactical initiatives. “Our activities are intended to support the improvement of our local community and create a special bond among the group of NAI employees,” stated Anderson Adams, a Program Manager at the NAI Troy, MI facility. To learn more about NAI, please visit the NAI website at www.nai-group.com.